10,811 others viewed this post. He’s back! 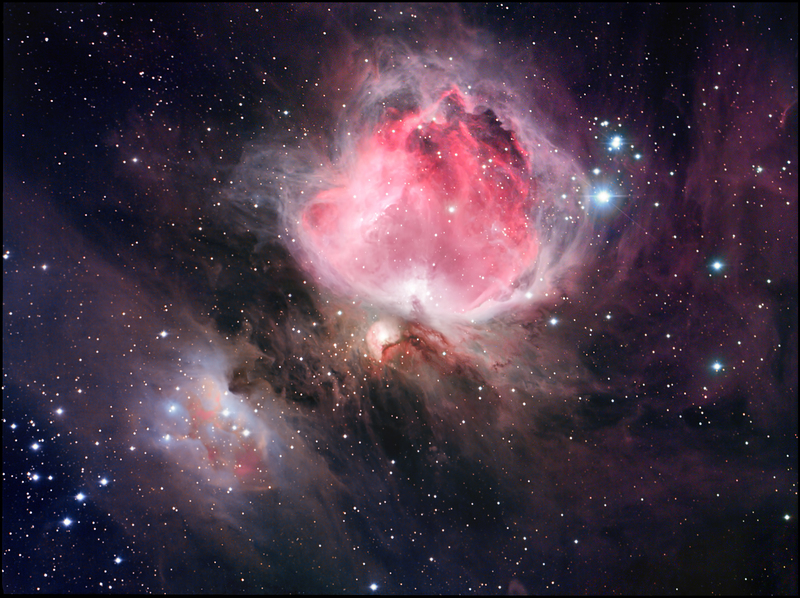 Even city dwellers can see “Orion’s belt” in the sky each evening, and near it the Orion Nebula. Is anyone watching Westworld on HBO right now? (If not, why not? It’s incredible.) There’s a little astronomical treat in the story line with one of the robot hosts carving what appears to be the constellation of Orion before bashing his own head in, apparently suiciding. The shows protagonists disagree about whether the carving is Orion or not, as the belt appears to have 4 stars. Incidentally I just watched the original Westworld movie from the 70s last night. It’s a bit pokey but I didn’t realise how much of an homage Terminator 2 was to it. But I digress! This year I’ve used mono and colour data to capture this stellar nursery in greater detail than before, being careful to pull out the luminous brown dust bridge that connects it to the Running Man Nebula.